2018 is almost over and in the past months, we’ve had the pleasure of writing about some really amazing new experiences in the city. Here are our top 10 pieces of awesome we’ve found this year that we absolutely think everyone should check out. The InterContinental Resort near Mahabalipuram opened Chennai’s first tiki bar on the beach. Similar to shacks we’ve seen in places like Goa, KoKoMmo is right on the beach and they serve everything from artisanal cocktails to coastal curries. KoKoMmo also happens to be the only place in Chennai (well almost Chennai) where you can legally drink on the beach! The newest in the city’s slew of indoor futsal courts, PluSportz is more than just a place to play futsal; there’s volleyball, box cricket, basketball and badminton too! It’s also the largest of the lot with five separate courts for people to hire. There’s also yoga, fitness bootcamps and other cool events happening all the time too, so for all you North Chennai folks, be sure to check this place out. Madurai Mutton Curry is the name of this tiny restaurant in Sholinganallur and was started earlier this year by Chef Raju. The focus of this restaurant is to provide authentic Madurai style mutton at an affordable price and that’s what they’re known for. Their most popular dish, their half kg mutton biryani costs just INR 200 and comes with raitha and gravy. We recommend coming during the mornings as the food is cooked fresh every day and the crowd is minimal. 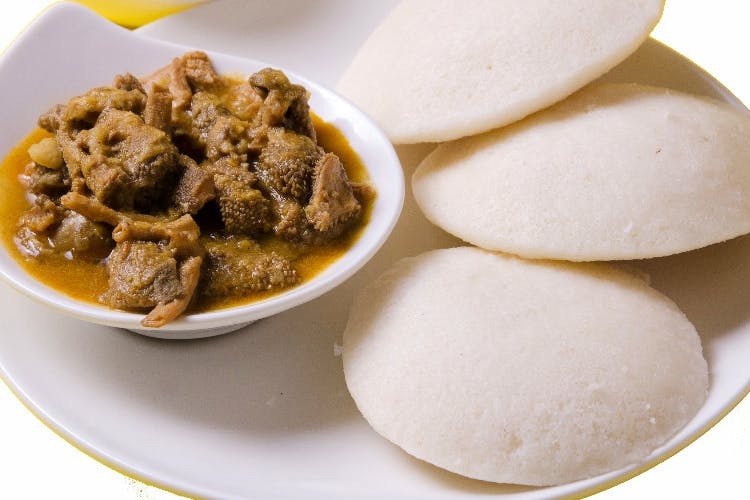 For more info about Madurai Mutton Curry click here. New Balance, Coach, Papparoti coffee coated buns, just some of the things that you have to check out at the new Palladium mall that’s opened up next to Phoenix Market City in Velachery. The 2.5 lakh sq ft mall has 75 brands across three floors and looks like it’s from the future. Luxury shoppers take note, this is what you’ve been waiting for. Avengers-themed UNO cards, Marvel comics and plenty of fan memorabilia for you to drool over at this resto-cafe in Chetpet. The food menu has Marvel hero themed dishes to go with their life-size Iron Man suit and Hulk statue on display. All in all, if you’re a superhero fan you’ll love this place. This Coimbatore born startup makes eco-friendly pencils from newspapers, and seed pens that you can plant! For prices as low as INR 6, you can help save the environment and get yourself export quality writing instruments at Plantcils. A South Indian Food truck and an iconic movie theatre; Southish, Sathyam Cinemas food truck is the best place near the main Sathyam theatre to get parota chicken salna, kozhi roast and khara bath for less than INR 85! On the weekends, they’re open post 12am so if you’re ever done with a movie late, stop by here if you’ve got the munchies! Stay In A Glass Igloo In Ooty! Yep, it’s exactly what it looks like. The glass igloo comes with a double bed, extra seating and minimal furnishing, and is best suited for couples. Each tiny igloo is secluded so you won’t have to worry about people snooping. We think this is a great place for people who’ve been to Ooty before and are looking for something a little different this time around. Crumb Patisserie in Egmore has a 24 layered chocolate cake, that is probably the biggest single cake we’ve seen in Chennai. It takes a day’s notice to make and weighs a little over two kilos. We think it’d make a great birthday cake for anyone with a sweet tooth as we’re positive that most people haven’t tried it out, given that it’s new. For more info about Crumb Patisserie, click here. Chennai’s first dog cafe, Twisty Tails is in Nungambakkam and is a great place for any pet lover to check out. We especially loved the fact that the Twisty Tails has dogs of its own you can go play with, so even if you’re not a pet owner you can get your doggie cuddles right here!